The shawarma craze has long been over, thousands of food carts and snack shops which offered the meat wrap has closed down. But there is one food stall who still remains serving the much loved shawarma, Food Channel. 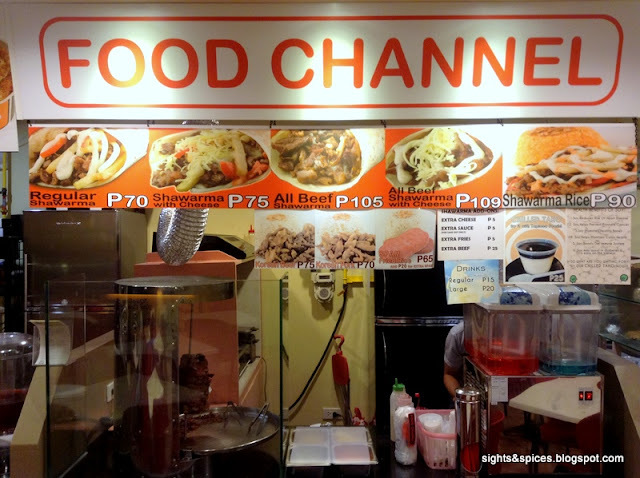 I still remember back in the 90's where I would look forward to go to Virra Mall to eat shawarma at Food Channel. 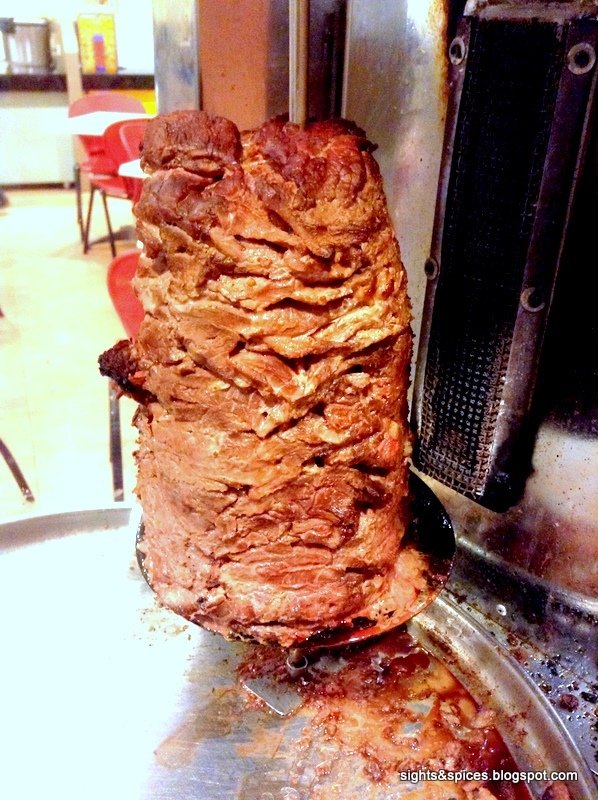 It has been more than two decades and the quality and taste of the shawarma hasn't change. 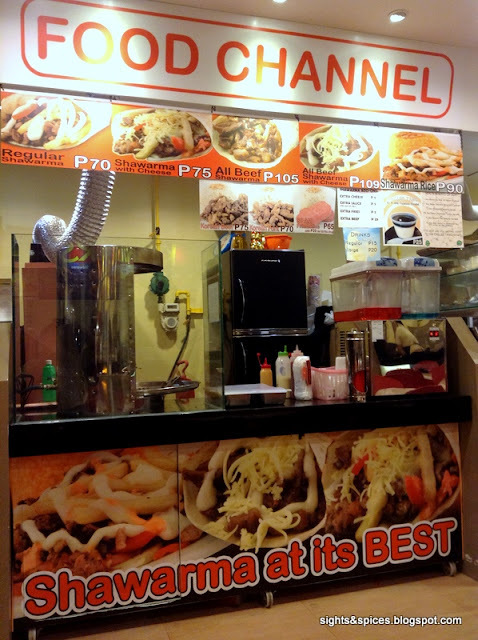 In my opinion, the main reason why Food Channel has remained strong is that they tweaked the flavor of their Shawarma to suit the Filipino palete. Food Channel can be found in most areas in the metro but there is one which we frequent. 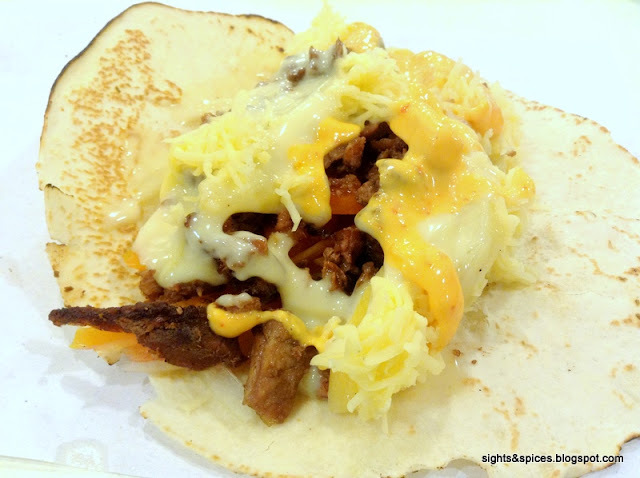 The one in Lasapin Food Court along among Emerald Avenue in Ortigas is open 24 hours from Mondays to Fridays. This branch is relatively near our place and it has become our go to place whenever we get hungry during the wee hours of the morning. 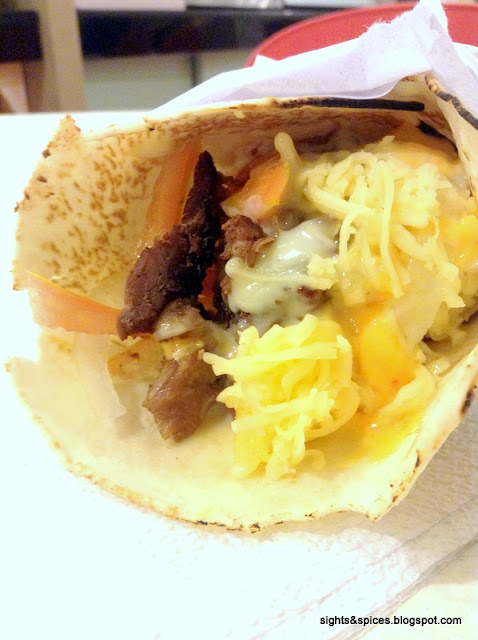 My favorite thing to munch on is the Shawarma with Cheese. Tender juicy slices of beef with chopped onions and tomatoes doused with the house made garlic sauce and topped with grated cheese. Since I love anything spicy, I always put an extra dose of the chili garlic sauce. Yummy!!! 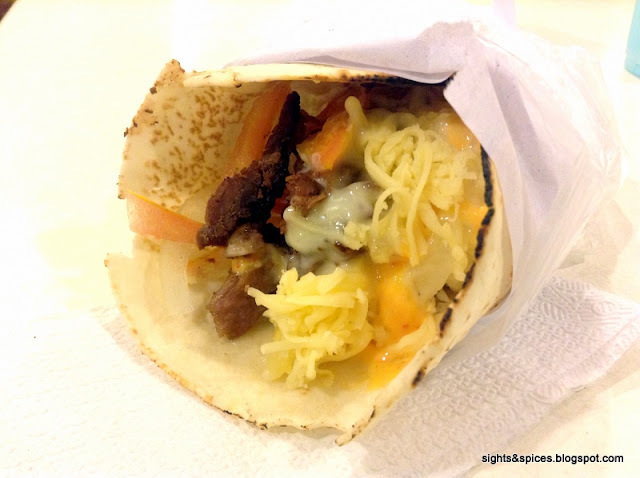 Aside from Shawarma, they also offer rice meals such as Shawarma Rice, Spam Rice, Korean Pork and Korean Beef with Rice. I got to try out the Korean Beef with Rice and I was so glad that I did. I was delightfully surprised how good the rice dish was. The beef slices was nice and tender plus I really liked the sweet and tangy flavor of the sauce, it did have that Korean flavor. I also liked how the onions was incorporated in the dish, it added a nice sweet crunch. What's great about it is that this only cost Php75, this is one great steal! I also regularly order the Chilled Taho with Tapioca Pearls. This cold sweet gelatinous soy bean treat is so addicting I loved how silky smooth the taho is and how the chewy tapioca pearls adds another sensation and texture to the mouth. As I've mentioned, the quality and flavors of the shawarma hasn't changed ever since I first had my first Food Channel Shawarma. It has been operating for more than two decades and from how it looks, Food Channel will still remain strong as they continue to serve the much loved Shawarma and other delicious treats . *Also can be found in various locations in the Metrto. I always pass by Lasapin in the morning. Tried this once, I was bitin with the serving.